The Homeschool Buyers Co-op is pleased to present a GroupBuy for a 1-year subscription to Shmoop, an award-winning provider of Online Courses, Teaching Guides, Test Prep, and more for students in grades 3-College. 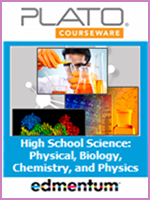 Shmoop offers a comprehensive suite of academically rigorous teaching materials with a teen-friendly, approachable style. Shmoop's content is created by subject-matter experts from top PhD and masters programs. 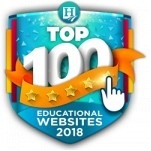 Thousands of schools around the world use Shmoop as part of their curriculum, and the company has also been honored with Webby Awards and twice by Scholastic Administrator Magazine ("Best in Tech"). Online Courses: Shmoop Online Courses include day-by-day standards-aligned curriculum for over 300 courses. Have your student take them on a self-study basis, or pillage 'em for your own in-class lesson plans. You'll find core courses for middle and high school in math, ELA, and history, and elective courses cover over a dozen subject areas. Teaching Guides: Shmoop's Teaching Guides are idea generators that will help you spice up an old favorite or light a spark the first time you teach a subject. 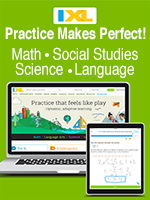 Covering literature, history, civics, economics, digital literacy, and math, Shmoop Teaching Guides can supplement your lesson plans. Get activity ideas, pop culture shout-outs, reading quizzes, and more. Test Prep: Whichever test your student is studying for, Shmoop has got your back: SAT, ACT, every single AP exam in existence, and over a hundred more. You'll get in-depth topic reviews, hundreds of drill questions, and multiple practice exams so you know exactly what to expect on test day. Classrooms and Gradebook: Monitor your students' progress at an individual level. 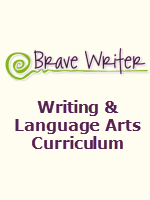 Grade assignments, leave comments, and send messages to individual students as needed. Visit the Shmoop website for more information. Review other sample videos by subject. 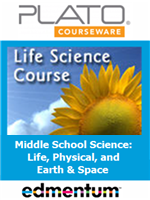 Check out Shmoop's course list by subject. Fulfillment: Within 15 minutes of receiving your order, the Co-op will publish a 100% off coupon code that you can use to get your subscription at the Shmoop website for no additional charge. This happens automatically. Simply sign into your Co-op account and look for "Shmoop" on your "My Subscriptions" page for instructions and a link. Returns/Cancellations: If you are not completely satisfied with Shmoop, you can request a full refund if you do so within 24 hours of the date of purchase. Or, optionally, you can sign up for a 24 hour free trial at the Shmoop website. You will need to provide credit card info if you do, so be sure to cancel your trial within 24 hours to avoid being charged by Shmoop, and come back to the Co-op to buy with the member discount. Place your order here for a 12 month subscription to Shmoop for one teacher and one student here. If you'd also like Shmoop for additional students in the same household, please your order for the additional students below. You wish to purchase additional student subscriptions.